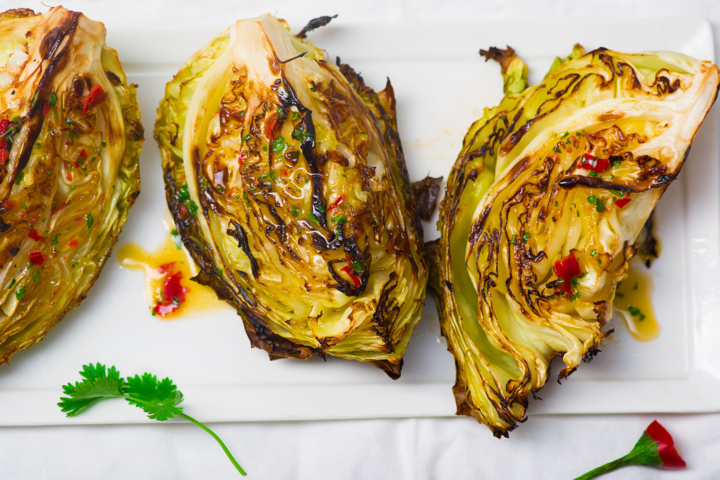 Brush both sides of each cabbage wedge with extra virgin coconut oil. Sprinkle garlic powder, red pepper flakes, salt, and pepper over each wedge. Arrange wedges on a baking sheet. Roast in the preheated oven for 15 minutes; flip cabbage and continue roasting until browned and charred in some areas, about 15 minutes more. Squeeze lemon over each wedge.